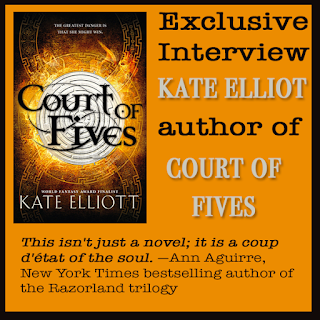 I asked some people who have read Court of Fives to comment, and they suggested Trickster’s Queen by Tamora Pierce, Gates of Thread and Stone by Lori M. Lee, The Summer Prince by Alaya Dawn Johnson, and Parable of the Sower by Octavia Butler. Shadowboxer is a great YA fantasy by Tricia Sullivan about a fierce young female MMA fighter. Another recent sports oriented story is Fonda Lee’s Zeroboxer. This is my YA debut but my twenty-second published solo novel (twenty-fourth published book if you count my one novel collaboration and my short fiction collection). My other published novels are adult science fiction and fantasy field. My first published novel was actually the sixth novel I wrote. Three of the novels I wrote before my “first” published novel were later extensively revised and published, while the other two unpublished novels were abandoned to the trunk of obscurity where they properly belong. The lesson here is: If you’re serious about writing remember that this is a long haul game. Don’t write just one book. If you write one and it doesn’t go anywhere or doesn’t work, write another one. If one fails, write another one. A writing career is a process, not a point you reach where you stop. There are lots of ways to measure success. Don’t limit yourself! I would really like to come back to that point about there being multiple ways to measure success as a writer. Success should not be limited to narrow definitions like “write a debut novel that gets on the New York Times bestseller list and a film deal.” This does happen, but it’s rare. Even George RR Martin, whose Game of Thrones is now adapted in an HBO series that is a worldwide sensation, labored for decades as a successful but (to a greater audience) relatively obscure writer before the tv series exploded onto the scene. Even without that, it is possible to work for decades as a writer without a tv series or a major bestseller and still be a success. Decide what your goals are. Many people write fanfiction for the entertainment of themselves and others, and when they are achieving that goal, that is success. Otherwise work in short fiction, or in non-fiction or poetry; they write blog posts and essays. Self publish, or traditionally publish, or combine both. Be aware there are more possibilities than ever before because social media and digital publishing expand our reach. Mostly, be persistent, and stay true to your vision. Your vision is what you have to bring to the world. Find the thing you can say that no one else can. Black Wolves, the first of an epic fantasy series, is due out in November 2015 from Orbit Books. 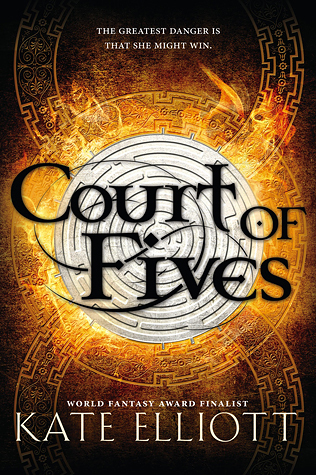 I am finishing up revisions on the sequel to Court of Fives. Then I need to write book three of the Fives trilogy and Books 2 and 3 of the Black Wolves Trilogy. Oh, I’m also working on two novellas to go with the Fives trilogy. Busy times! I feel very fortunate. 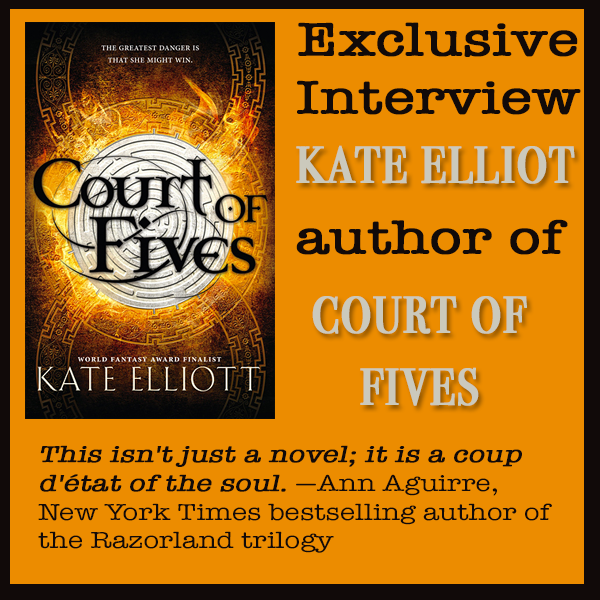 Have you had a chance to read COURT OF FIVES yet? Have you decided on your own personal goals of what success means? Have you found the thing you can say that no one else can?